Awarded to every individual on the top 15 teams, with a maximum of 5 individuals per team. Value of individual award is $375.00. 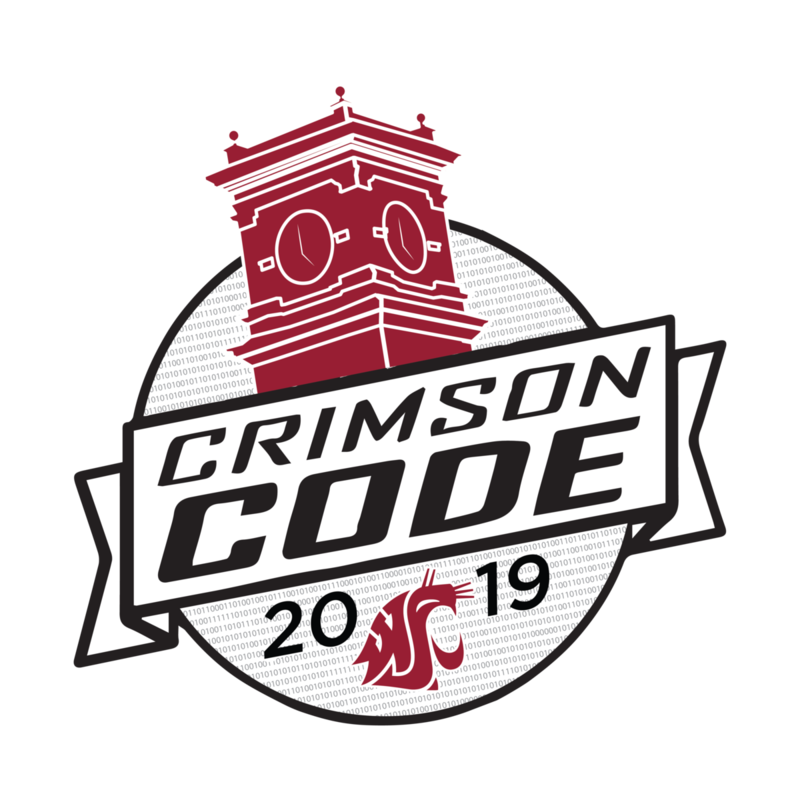 The 7th annual CrimsonCode hackathon is coming to WSU on February 23rd - 24th, 2019. We are partnering with Major League Hacking and are sponsored by Schweitzer Engineering Laboratories, Expeditors, RHA, Wolfram Language, GitKraken, StickerMule, and Apple. At CrimsonCode, we aim to cultivate an inclusive environment where participants with diverse backgrounds and perspectives can come to be inspired and innovate. The CrimsonCode hackathon is a 24-hour event that provides a venue for self-expression and creativity through technology. People with technical and non-technical backgrounds come together, form teams around a problem or idea, and collaboratively code/create a unique solution from scratch. The event is completely free, fully catered, and no previous coding experience is necessary. We encourage people from all different majors to come and join us. Towards the end of the hackathon, projects will be presented and winners will be chosen. This event is a great opportunity to meet new people and network with different majors, industry professionals, professors, and more! If you are interested or have any questions regarding the hackathon, please visit our website and follow us on Facebook, and Twitter for more information! Students from colleges and universities that are approved by Major League Hacking are welcome to attend. Teams can be up to 4 people and all team members must be physically present at CrimsonCode on February 23rd-24th. Teams should submit a presentation/demo that is a maximum of 5 minutes long. This will be presented by each team during the demo fair to judges. We believe that diverse teams create diverse projects and solutions. As such, we welcome all students in any major from Washington State University and students from other universities whether they have a technical or non-technical background. Is the project technically impressive? Complex? Does it seem remarkable that someone could achieve this hack in just a day? You can’t expect a completely polished, ready-to-go project at the end of a hackathon. But you can look for some degree of polish, thought, and effort. Does the hack work? Did the team achieve their goals and accomplish what they set out to do? Sure, this one is hard to judge, but hackathons are all about exciting innovation and surprising solutions to problems. Look for a project that makes you say, “Wow!” You can also take into account the reactions of the other hackers. Does the hack seem practical and viable? If this went to market today, how would it be received? Is the hack original? Is it apparent that the hack took a lot of thought to come up with? How creative is their solution approach?